adidas tapped Roundhouse to help launch their innovative new baselayer technology. The task required the creation of a full-on campaign in the making that lasted well over a year to produce. I was part of the team that gave Alphaskin its name, designed the logo, messaging and global brand guidelines. We launched Alphaskin with a five athlete photoshoot and specific campaign storyline for each consumer journey. 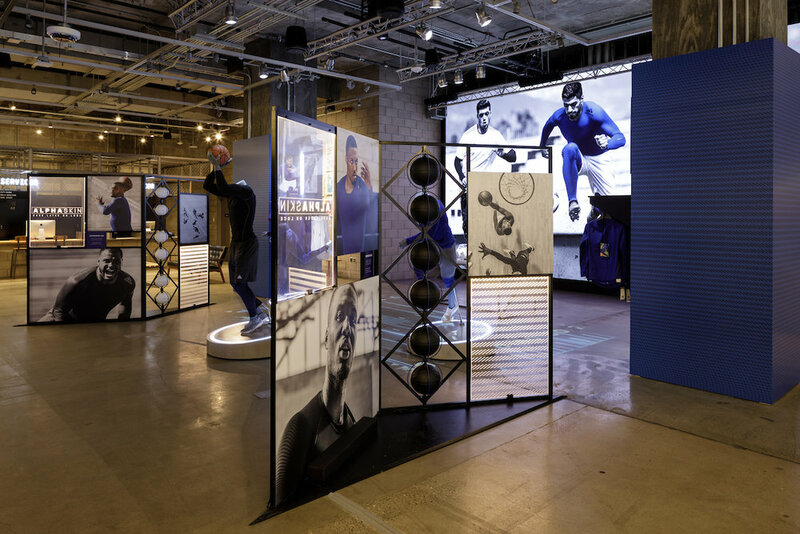 These campaign graphics were also used to design both the in-store displays and retail windows for five high-profile adidas locations, including their 5th Avenue Flagship store in NYC.